– You ask too much! – We all have bureaucracy problems, yet you are the only one complaining about it! – You are the exception, you are not like the others who… ask too much! This is when the circle starts again from the very beginning and you listen to all these conversations about those who ask too much. They no longer look you like that, of course, because you are no longer one of “them”. Just like we said before, for everyone you are now the exception! You are the psychologist, the sewer, the journalist, the doctor, the shop owner, the plumber, the personal trainer, the DJ, the seller, the IT guy, the shoemaker, the smiling waiter. You are not asking, you are offering. You secretly smile. You don’t want to bother and explain that it was not long ago when it was you, “asking too much”. It was you the one who talked about the bureaucracy that kept your life on pause, while today you are the exception in the eyes of society. You smile. You are too tired now to explain what you have been explaining for so many years and analyzing in dead-end conversations. In conversation where nobody was listening to anyone, and the only goal was for each side to talk about their stuff. You are too tired to explain that the one who asks too much, only does it to become the “exception”. That “too much” actually means equal opportunities. That you paid for what is given for free. That you fought with windmills. That you claimed oxygen. I am the rule and I will continue to be the rule of mankind from one side of this planet to the other, for as long as people move seeking soil for their roots and water for their blossoms. I am the rule that pushes man to create and evolve into something better, something superior. If you support me I will go faster, if you have faith in me I will go farther. However, if you give this for an answer, I do not guarantee you will awake any consciousnesses, you are most likely to become an “odd exception” from the same old simple “exception”. But let us finally unite the pieces of the puzzle and let’s take things from the very beginning. The reasons why there are population movements over the centuries are multifactorial and vary (just think that none of us would have been here if we hadn’t migrated from Africa on the first place). So nowadays, the reasons for immigration are just as many and diverse. People left their countries because they couldn’t find a job, because of war, social exclusion, oppression, love, due to companionship or the circumstances. For one of these reasons and so many more, these people are here. They live here. They work here. They dream here. They create a family here, they give birth to sons and daughters. Sons and daughters who have no other familiar sky than this one, the blue, the one that is full of olive and thyme scents. These sons and daughters grow up and their parents grow old into an endless expectation, a never-ending struggle. Governments go, governments come. Laws go, laws come. Applications go… but do decisions come? As long as no decisions are made, lives go on ice. Opportunities become limited. Studying seems like a luxury. Jobs are betting on day-pay and plans are still LOADING… on a laptop with no internet. The wifi comes back and the bar loads with difficulty. You receive the certification of what you knew for years, that you belong here, and you start freely to create. You create everything from the beginning: who you are, what you are entitled to, what you can dream of, what was forbidden and no longer is, where you can go, what can you study, what you can do for a living, freely. You are reborn, and you start declaring your presence, freely. As if you were gagged for so many years, you now breath oxygen. Freely! In order to get a better understanding of the pieces of this puzzle, let’s allow the stories to speak for themselves. 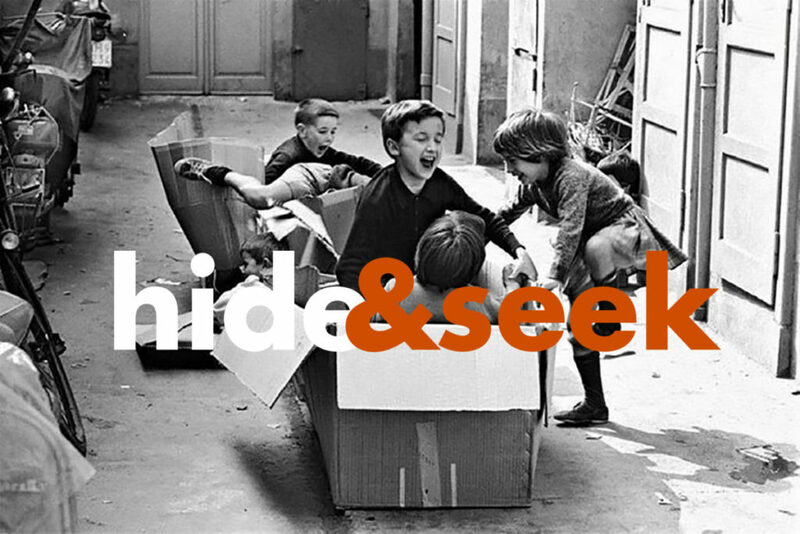 Tune in the new column of Generation 2.0 RED titled “Hide & Seek: The Entry, The Pause, The Freedom”. Three stages, a common path. A path towards the “exception”.